Last week we covered the best places to do fall activities this season and where to get your pumpkins, so it only makes sense to give you a run down of the very best fall recipes, right?! Below you’ll find some of our favorite fall recipes – we may get carried away because who doesn’t love food?! Bon Appetit! Pumpkin Bread – Pumpkin flavored things are the epitome of the autumn season. You’ve got Pumpkin Spiced Lattes, Pumpkin Cheerios, Pumpkin Donuts…you name it, there’s a pumpkin flavor. So why not make your own homemade pumpkin bread with the pumpkins you picked last weekend? It’s more work but it’s so rewarding – not to mention, your kitchen will smell like heaven! Apple Pie – There is NOTHING better than the smell of caramelizing sugar and cinnamon on tart apples baking in your oven in the middle of fall. You can make individual pies (which I highly suggest) or make a whole pie to share. Don’t wory, we won’t judge if you eat the whole pie yourself because it is JUST. THAT. GOOD. Maybe it’s the northerner in me, but the pies taste 10 times better when you pick the apples yourself. Roasted Sweet Potatoes – Simple, Sweet, and Easy. And they’ll make your house smell like heaven! 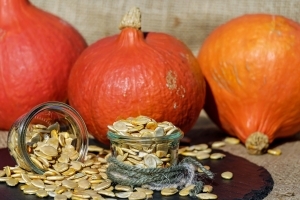 Toasted Pumpkin Seeds – The perfect snack for when you’re carving those pumpkins. Once you’ve gotten all the gunk out of the pumpkin, clean off those seeds and pop them in the oven while you’re carving your pumpkin. When it comes to tasty pumpkin seeds – it’s all about the seasoning. Get creative! Butternut Squash Soup – Now that the weather has started to cool off, it’s the perfect time to make some soup to warm you up! Homemade Applesauce – While it may take longer to make, it tastes so delicious. Our mouths are watering just thinking about it! 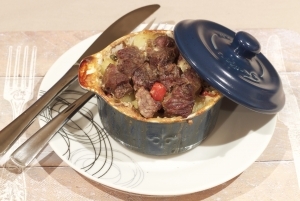 Beef Stew – Another cold weather favorite! Meat, potatoes, carrots…put your comfy clothes on and eat up! Spaghetti Squash – This is probably one of the easiest meals you can make and you can change it up every time you make it too! 9. Hot Toddy – While it may be known to cure an ailing body, it tastes just as good when you’re healthy too! Sit back by a fire with your tast drink and enjoy!